There is nothing basic about our base lock. 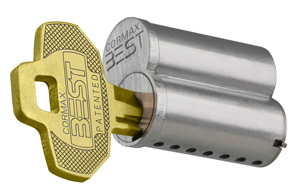 It is a figure-8 exchangeable-core lock commonly referred to as “Best.” The cores are removable for lock number management. 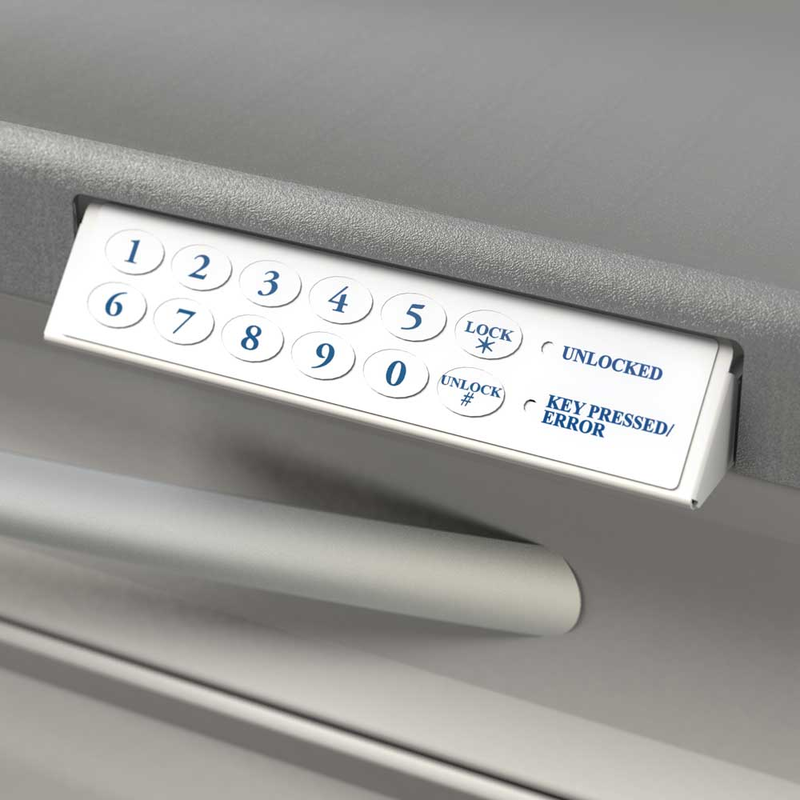 It is included with Keyless Entry and Proximity Lock as a manual override. Upgrade to the keyless entry with auto relock. The system holds up to 250 codes and tracks 1500 entries, failed and successful. In addition, keypad LEDs show the cart lock status and battery level. 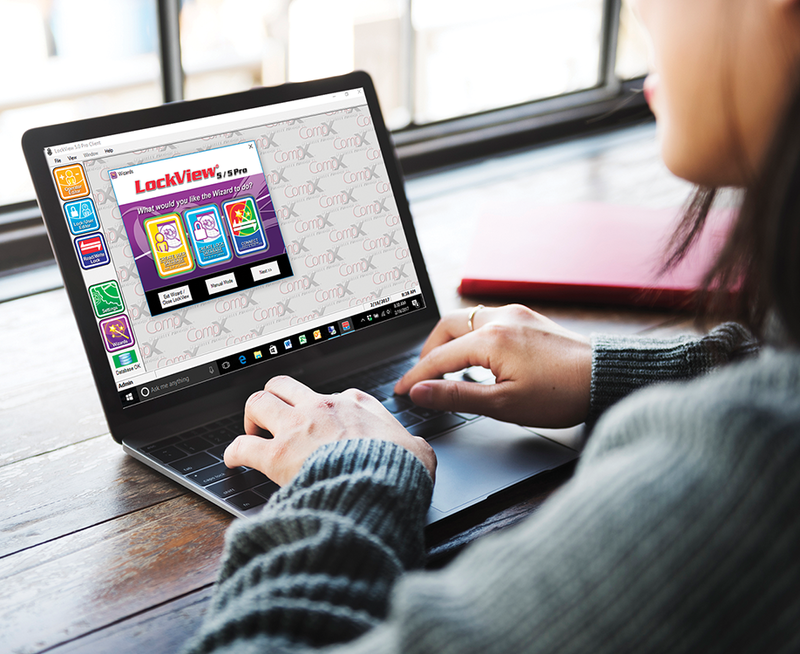 Customize and manage your Keyless and Proximity entry systems with our Microsoft Windows based software. The software manages user codes by shift, auto relock timing and full audit capability up to 1500 failed or successful entries. The above-drawer extension prevents an unlocked lid from jamming inside the cart. Our unique spring slowly lifts the lid so it never smacks the above drawer. Exchangeable-core locks are standard, delivering superior security, smooth operation and a longer life. Our springs are twice the gauge of others to exponentially increase longevity. 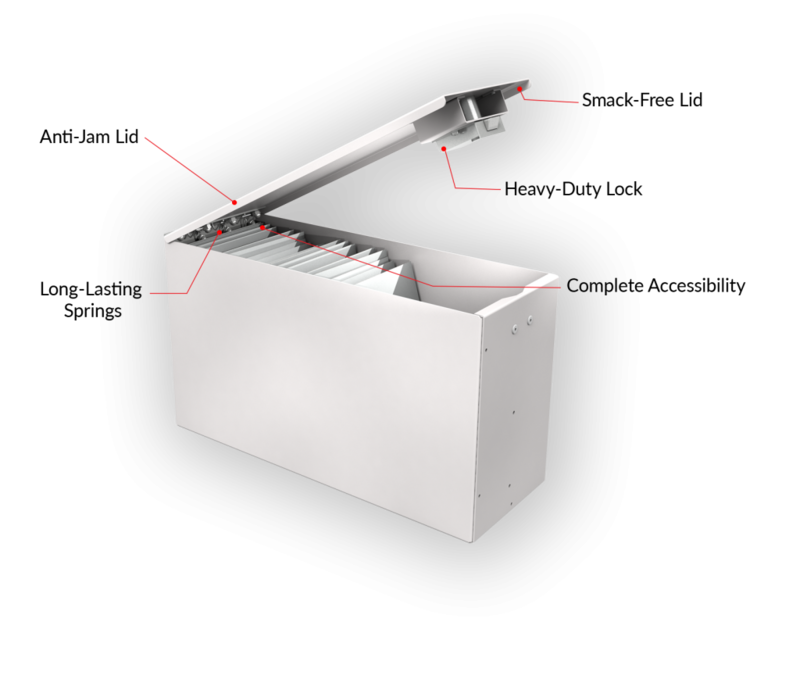 The rear-edge hinge ensures meds in the back of the box are within reach.